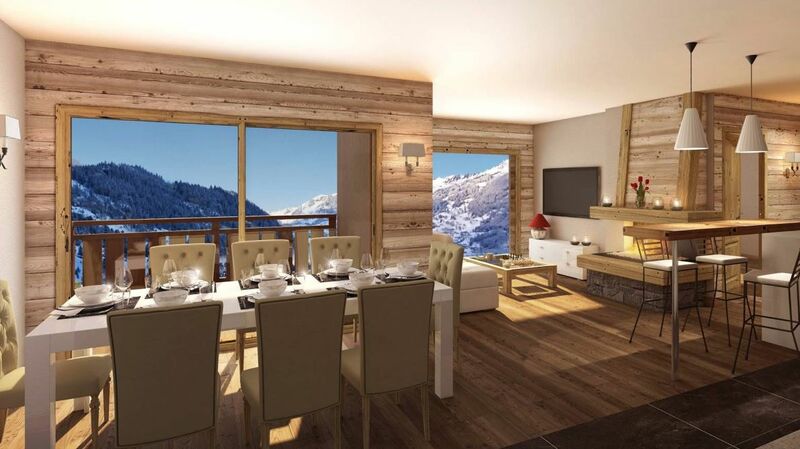 Chalets de Vonnes is a luxury new build project in the Lac de Vonnes area of Chatel. 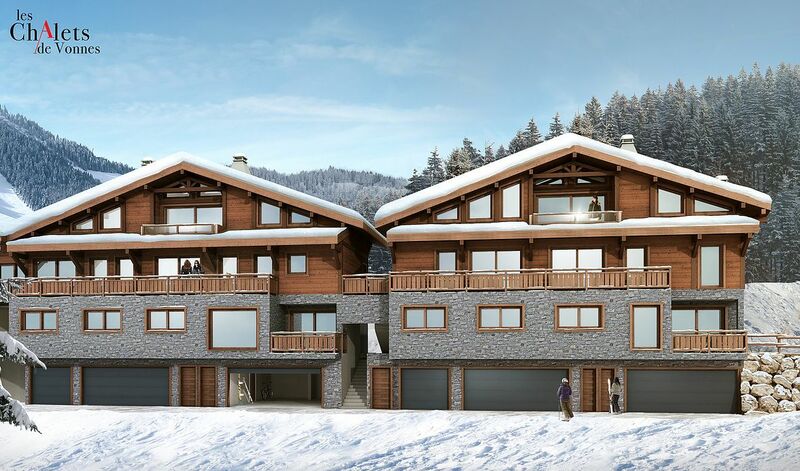 Consisting of just 4 very high specification apartments in 2 chalet style buildings. The chalets have a commanding view towards the north-west over the Abondance Valley towards La Chapelle d’Abondance and Linga. The shuttle bus passes nearby to provide convenient access to the village centre, the bottom of the Le Gabelou and Les Portes du Soleil ski lifts are just a few minutes walk away. 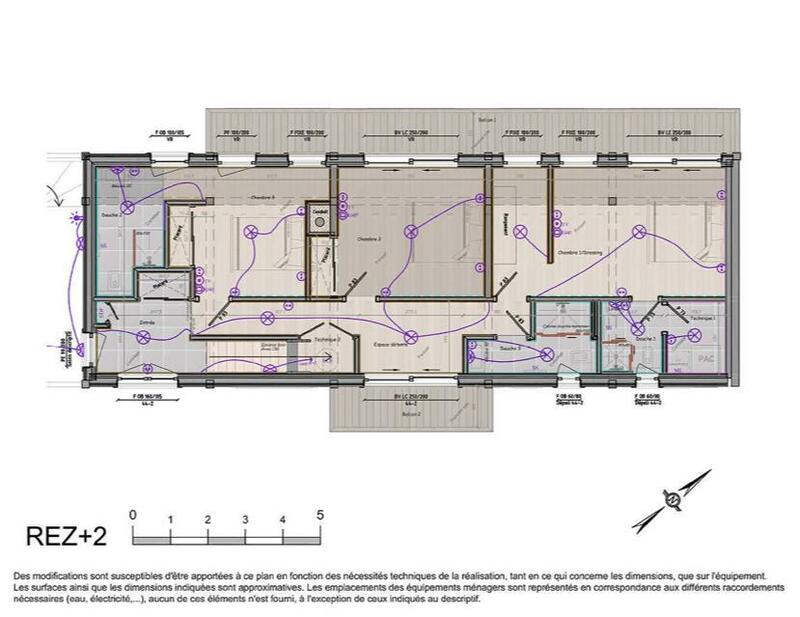 Of the 4 apartments, two are top floor penthouse duplexes, this one is B2 (3 bedroomed, 3 bathroomed, however if purchased off plan it could potentially be rearranged to allow for four bedrooms if required), the apartment benefits from a double garage, cave, and balcony. 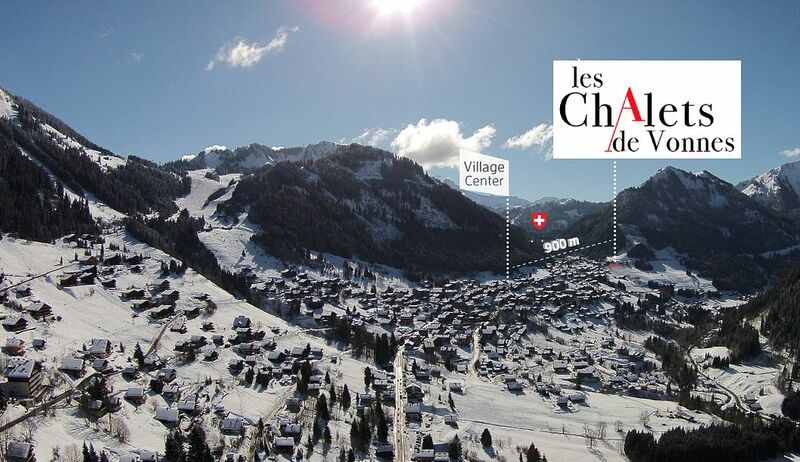 Located in the Vonne area of Chatel across the road from the lake and just a 5 minute walk to both the centre of Chatel and the new ski lift. 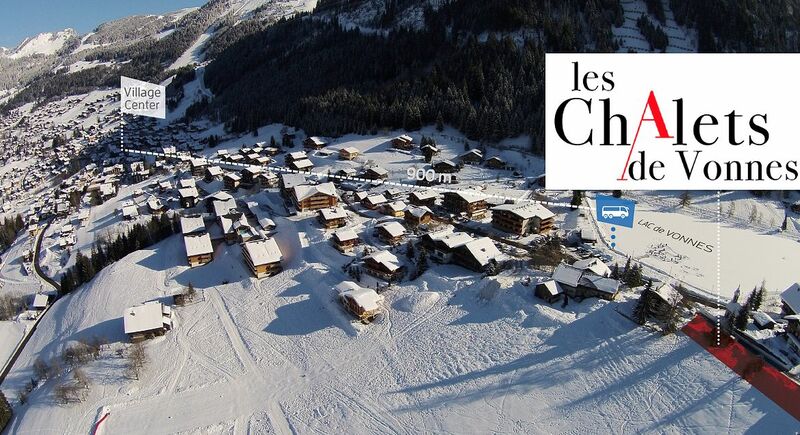 “Les Chalets de Vonnes” Duplexes are in one of the most desirable areas in Chatel at the moment with good views, easy access to the ski lift and amenities. 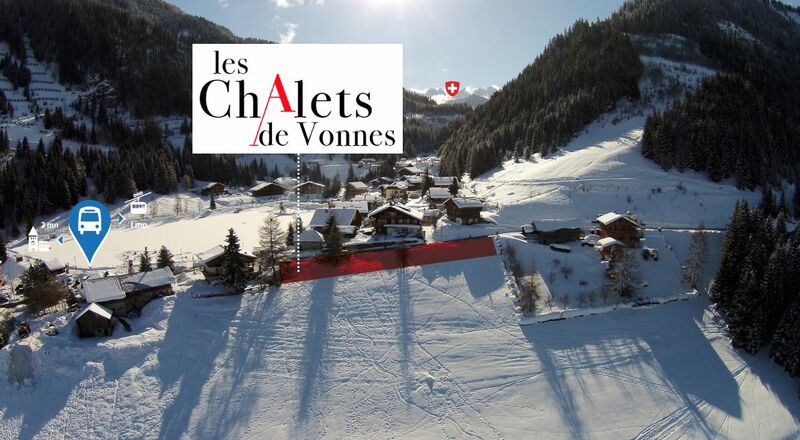 “Les Chalets de Vonnes” is a stunning development of four luxury apartments spread over two chalet-style buildings, located at the top of Chatel in the desirable “Lac de Vonnes” area of the village. The apartments are being built to a very high standard of finish and include fully fitted kitchens, savoyarde fireplaces, burnt/brushed wood interior finish, steam cabin showers and stone clad exterior finish. 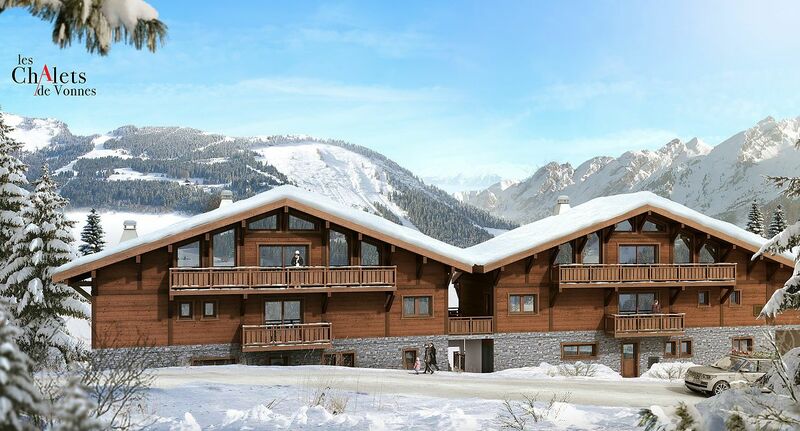 This project is located close to the bottom of the ski slopes in the “Vonnes” hamlet, at the heart of the Portes du Soleil ski area. The chalets have a commanding view towards the north-west over the Abondance Valley towards La Chapelled’Abondance and Le Linga. 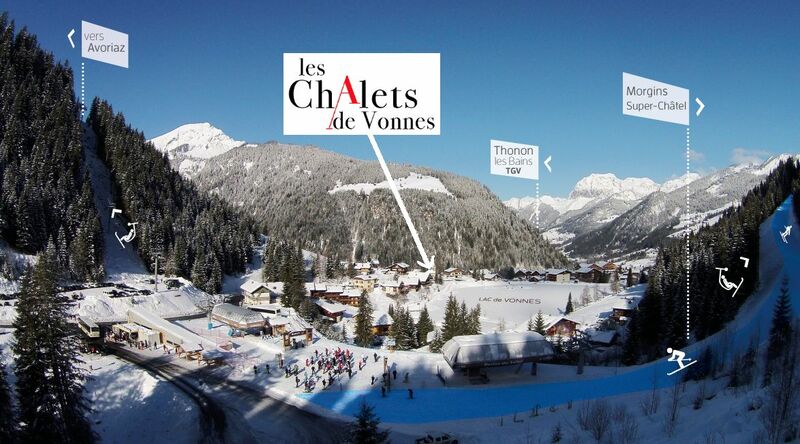 The shuttle passes nearby (“Lac de Vonnes” stop), offering access to the village centre and the bottom of the Le Gabelou and Les Portes du Soleil ski lifts are just a few minutes walk away. Agency fees payable by the vendor. Partner Agent Mandate – Delegation. 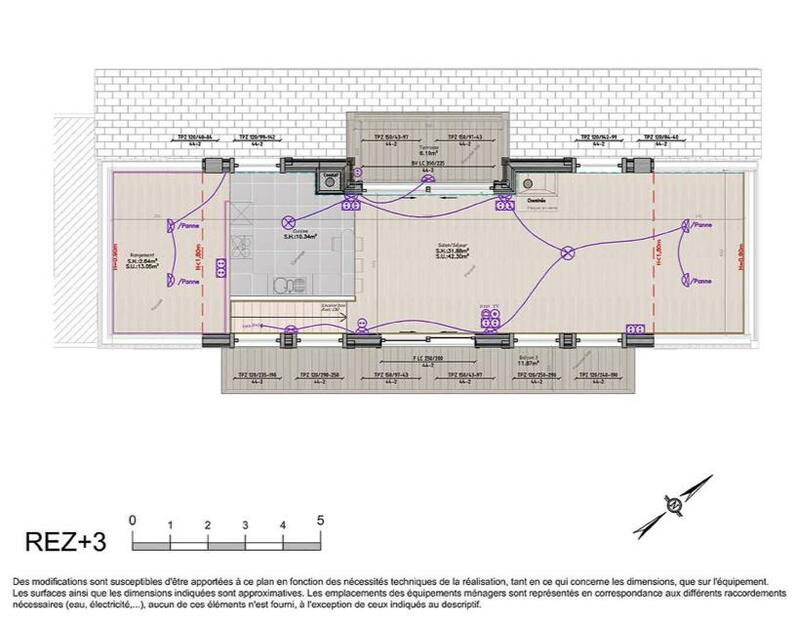 This property is part of a 2 buildings that have a total of 4 lots. Co-ownership charges for this property: To be Determined. 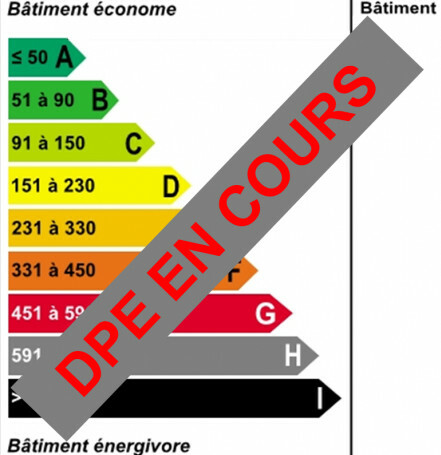 Energy rating (DPE) : To be Determined.